MIAMI | This is the third installment of the “60 for 60” campaign, aimed at recognizing members of the faithful who contributed their time, talent and treasure in building up the Archdiocese of Miami over the past 60 years. Pope John Paul II prays at the start of the Mass at Tamiami Park, Sept. 11, 1987. 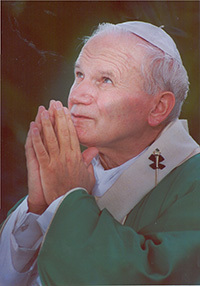 John Paul II was the first pope in history to visit Miami. In 1987, he began his 10-day tour of the U.S. at St. Mary Cathedral in Little Haiti, where he addressed the archdiocese’s religious and lay leaders and the Creole and Hispanic communities. After a stop at St. Martha Church to meet with representatives of the nation’s priests, he met with President Ronald Reagan at Vizcaya and participated in a papal parade which was attended by roughly 200,000 people along Biscayne Boulevard. The next day, he met with Jewish leaders in downtown Miami before celebrating Mass in Tamiami Park for nearly a quarter of a million people — a Mass that was interrupted by rain and lightning. Joseph Schott Jr. was the founder and benefactor of the Schott Memorial Center for the Deaf and Disabled, located in Broward County. 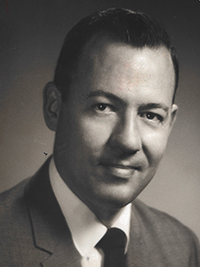 Aside from founding Schott Memorial Center, he was also a successful businessman, owning various companies and serving on the boards of others. He excelled as a philanthropist and supported St. Rita’s School for the Deaf. Schott’s service and generosity has been recognized by those around him, and as a devout Catholic, he was made a Knight of St. Gregory in 1992. Sister Edita Rojo, a Sister of St. Philip Neri and a physician, became known for her ministry at Genesis House, a residence for people with full-blown AIDS who had nowhere else to go. 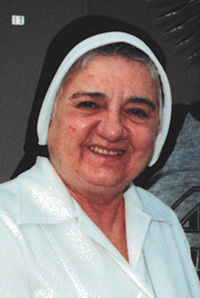 Sister Edita, a Sister of St. Philip Neri, contributed to the Archdiocese of Miami for many years through her work with Cuban refugees at Centro Hispano Católico. She is not only a religious but a physician, especially known for her ministry at Genesis House, a residence for people with full-blown AIDS who had nowhere else to go. Catholic Charities opened Genesis House at the height of the AIDS epidemic in 1988, when most people feared the disease and shunned those afflicted. The house was located on the grounds of Mercy Hospital in Miami and closed in the early 2000s. Dr. Bevilacqua was known for his contribution to society as a physician, an active parish member and a generous contributor to the Catholic Church in South Florida. Moving here in 1957, Dr. Bevilacqua helped expand pathology operations in various hospitals. 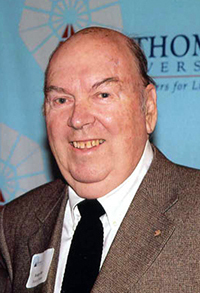 Aside from his professional achievements, he served as the first president of the Christopher Columbus High School Faculty and Parents Association, president of the St. Louis Parish Council, religious education teacher, member of the Barry University Board of Governors and president of the Miami Serra Club and Governor of Serra International, District 30. Recognized for his service, he was inducted into the Equestrian Order of the Holy Sepulcher of Jerusalem, USA, and made a Knight of St. Gregory. Originally from St. Francis Xavier Church in Overtown, Jones was the former director of the Archdiocesan Office of Black Catholics. As such, he served the African American population of the archdiocese and was a very prominent and influential figure within the community. His work in Miami touched the lives of many African American Catholics. Father Villaronga, a Franciscan priest who was celebrated as a powerful preacher and evangelizer, also founded the Spanish-speaking version of the Christian Family Movement, Movimiento Familiar Cristiano. Born in Spain during the 1920s, Father Villaronga was a Franciscan priest who was celebrated as a powerful preacher and evangelizer. He was a constant presence on Spanish-speaking radio, especially during Lent when he would deliver his famous sermons on the “The Seven Last Words” of Jesus on the cross. He ministered at the Centro Hispano Católico in Miami as well as a number of parishes with large populations of Cuban immigrants. 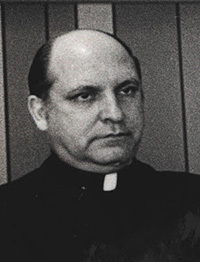 Father Villaronga also founded the Spanish-speaking version of the Christian Family Movement, Movimiento Familiar Cristiano, whose home is Casa Caná in Hialeah. Miguel Cabrera, for more than 50 years, was a leader in numerous Hispanic movements. In 1961, Miguel Cabrera, along with his wife, fled Cuba in search of a better life. Soon after, Cabrera began serving as a lay leader within the Archdiocese of Miami, doing so with joy, humility and dedication for more than 50 years. He worked in different capacities in numerous Hispanic movements, such as the Christian Family Movement, Encuentros Juveniles, and Camino del Matrimonio, and was director of Cursillos de Cristianidad as well as coordinator of the Archdiocesan Hispanic Pastoral Team. His leadership was instrumental at the local, regional and national levels during the organization, planning, and implementation of the III Encuentro Nacional de Pastoral Hispana. 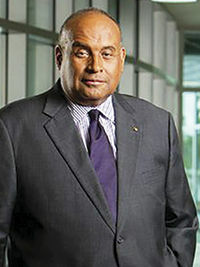 Cyrus Jollivette Jollivette served in several senior-level positions in journalism, university administration and public and government relations, as well as on the board of trustees of St. Thomas University. 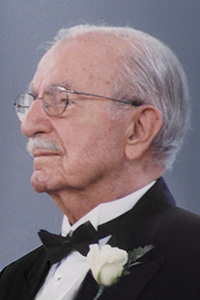 Throughout his distinguished career, Jollivette served in several senior-level positions in journalism, university administration and public and government relations. Best known for his accomplishments working for Florida Blue, he held the position of senior vice president of Public Affairs and senior vice president of Federal Government Relations. Prior to this, he worked as managing editor of the Miami Times from 1971-1977 and was a former senior administrator at the University of Miami. Jollivette also served on the Board of Trustees at St. Thomas University and was a member of the Board of Governors of the statewide Florida Chamber of Commerce. Father Kidwell, a Jesuit priest, in 1982 began encouraging students to participate in the annual March for Life in Washington, DC. The annual trip is now known as the Father Kidwell March for Life Pilgrimage. Father Kidwell, a Jesuit priest, in 1982 began encouraging students to participate in the annual March for Life in Washington, DC. Starting off with a small group of teens, the trip now takes an average of more than 100 archdiocesan high school students, as well as college-age young adults. Since his death in 2008, the Archdiocese of Miami’s annual trip is known as the Father Kidwell March for Life Pilgrimage. Father Kidwell is best remembered for his commitment to his faith and his dedication to Miami and pro-life initiatives. 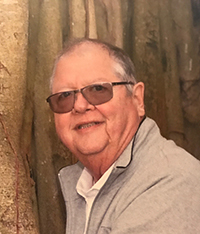 Klaus was a parishioner at the Basilica of St. Mary Star of the Sea with a passionate commitment to service within the Key West community. Klaus, along with fellow parishioner Harold Murphy, established a foundation that provides financial support to organizations dedicated to aiding the poor and needy citizens of Key West. Throughout the years, the foundation made generous donations in support of the Basilica parish’s outreach mission and soup kitchen and the Basilica school. In 2016, the Basilica’s parish center was renovated and named the Klaus Murphy Center to honor the two men and their selflessness. Archbishop Thomas Wenski blessed the renovated facility and acknowledged Klaus and Murphy for their donation, which continues the church’s 165-year tradition of service to the community. Rodger Shay was a successful financier who placed high importance on his love of God and was dedicated to serving the community and the Catholic Church. Shay was a successful financier who placed high importance on his love of God. Aside from founding Shay Investment Services, and many other professional accomplishments, Rodger was dedicated to serving the community and the Catholic Church. Throughout the years, he served on the board of various institutions, including St. Thomas University, The Catholic University of America, the Archdiocesan Education Foundation and many more. Shay also was a member of the Knights of Columbus, a recipient of the “Man of the Year” award and was recognized as a Knight of the Pontifical Equestrian Order of St. Gregory the Great by Pope Benedict XVI. 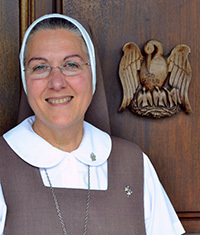 Delia Berta Gonzalez founded the Liga Orante Vocacional to pray constantly for vocations. González founded the Vocational Prayer League, also known as Liga Orante Vocacional, in 1976. Originally, the League was a broadcast radio program with the purpose of joining listeners together in vocational prayer. Today, the group uses the telephone to unite thousands of Catholics, many of them elderly and alone, in constant prayers for vocations. González’s efforts in beginning and cultivating this group helped the Archdiocese of Miami by providing another avenue of support and prayer for those discerning a vocation in the Church. Congressman E. Clay Shaw was described as a man of faith who helped to promote the Churchï¿½s values through his work. Together with Fred Klaus, Murphy established the Klaus Murphy Foundation in 1990 to provide financial support to organizations assisting the poor communities of Key West. Murphy’s generous donations to the St. Mary Star of the Sea Outreach mission, the Basilica School and St. Mary’s Soup Kitchen have allowed numerous organizations to continue their work within the Archdiocese and help others in the local community. Myrna Gallagher created "The Road to Emmaus" retreat, which has changed the spiritual lives of thousands. Gallagher created the hugely popular “Road to Emmaus” weekend retreats as a way for people to strengthen their faith alongside other members of their parish community. Based on the Gospel of Luke 24:13-35, these retreats help people experience spiritual renewal and formation. After 35 years, Emmaus is offered not just within the Archdiocese of Miami but in other places throughout the U.S., Europe, Central America, South America and the Caribbean. 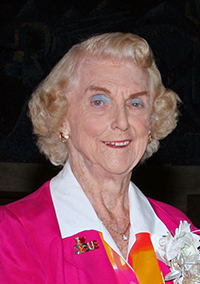 Kathleen Magrath served on the Miami-Dade County School Board and aided other community organizations, including her home parish, St. Louis in Pinecrest. Frank McGrath dedicated his life to battling prejudice against ethnic and religious groups. The Magraths were active members of the Catholic community in both the Archdiocese of Miami and throughout the country. Frank McGrath dedicated his life to battling prejudice against ethnic and religious groups. He worked for the National Conference of Christians and Jews for 38 years, 27 of them as regional director of the Miami office. Settling in Miami in 1966, they joined St. Louis Parish in Pinecrest, where they raised their six children and were active in a number of ministries. She also served on the Miami-Dade County School Board and aided other community organizations, among them Camillus House. Msgr. 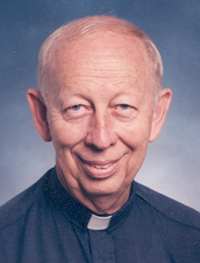 Kelly oversaw Catholic schools in the Archdiocese of Miami for nearly 36 years and also served as supervising principal of two Fort Lauderdale high schools. Msgr. 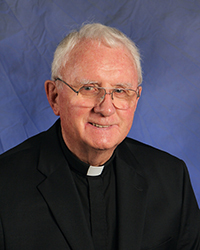 Kelly oversaw Catholic schools in the Archdiocese of Miami for nearly 36 years. In 1970, he took on the role of supervising principal of St. Thomas Aquinas High, helping to re-energize the Fort Lauderdale school’s declining enrollment while turning it into an academic and athletic powerhouse. The longtime pastor of St. John the Baptist in Fort Lauderdale also served as supervising principal of Cardinal Gibbons High School in Fort Lauderdale. He was among the earliest proponents of creating endowments to support Catholic schools well into the future, and make it possible for needy students to receive a Catholic education. 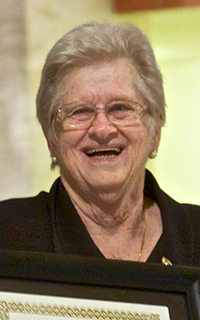 Marjorie Wessel, longtime president of the Catholic Educators Guild and an advocate for women in sports. Wessel is best known for her years of service and advocacy for the education of youth and advancement of women in sports. 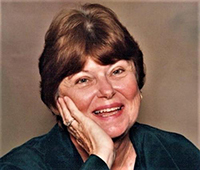 Aside from her professional accomplishments as a public-school teacher and assistant principal, Wessel served for many years as president of the Catholic Educators Guild, an association for Catholics who teach in both parochial and public schools in South Florida. The matriarch of the Wessel family has given 50 years of her life to education and has received several awards, such as Woman of the Year, “Unsung Heroine” from the Commission on the Status of Women, the Lifetime of Giving Award and was named “Outstanding Citizen” by The Miami Herald. Spellman was a federal judge on the United States District Court for the Southern District of Florida from 1979 to 1991. 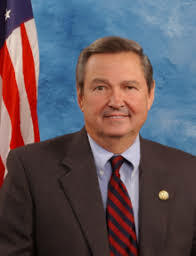 In the years prior to his term, he was a private practice attorney, a research assistant to the chief judge of the Florida Third District Court of Appeal, served as assistant attorney general for the Criminal Appeals Division in Tallahassee and was assistant state attorney for Dade County. Spellman was cited by Archbishop Wenski as one of Miami’s “exemplary Catholics and jurists” at the annual Red Mass, hosted by the Miami Catholic Lawyers Guild, in 2014. 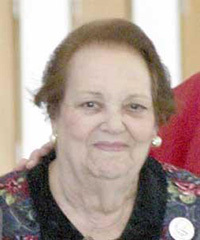 Mother Adela Galindo founded the Servants of the Pierced Hearts in Miami in 1990. Founded in 1990, the Servants of the Pierced Hearts was the first religious order founded in the Archdiocese of Miami. The diocesan institute was established by Mother Adela Galindo and has been actively serving St. John Paul II’s call to the New Evangelization since its very beginning. The sisters take four vows: poverty, chastity, obedience and total Marian availability, and are dedicated to the mission of evangelization and formation. Today, the Sisters continue to work within the different parishes in the Archdiocese of Miami to spread the love of the Pierced Hearts throughout the Catholic community.